I’ve been consulting with business owners for many, many years and there was a time when I did not use contracts or agreements. I never felt the need to inject a formal and legal aspect to the work I had proposed and so a handshake seemed like the way to go. A few years ago I changed my tune completely on contracts and not because I got burned or felt the need to create something legally binding. 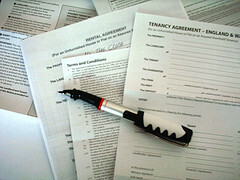 What changed was my view of what a contract could stand for and perhaps my definition of the word contract in general. In my mind, particularly in the coaching, consulting and professional services world, a client relationship must be a mutually beneficial one if it’s going to work. In other words, both parties have to come to the relationship fully prepared to do their part if the most value is to be realized. Now, what that mutual participation looks like differs for every business, but in my experience if a clear expectation and understanding of what that looks like is missing, trouble is not far away. Think about past client work that didn’t go as well as it could. Usually what occurred was miscommunication or a misunderstanding of expectations. Quite often we are so happy to get the work we don’t have the authentic conversation that needs to be had upfront. It’s so much harder to go back and recreate expectations once the work has begun. I now use contracts with every engagement. I don’t use them, however, to create some legally binding agreement, I use them as a tool to communicate expectations, needs and wants for both parties. Of course I want to be paid as agreed and that’s part of the contract, but I write these contracts in very plain language after careful discussion with the client about what we both need to do. The document is more of a social contract than a legal one. I know my more legal minded readers may take issue with the casual nature of my use of contract. For what I’m describing I could easily use the term agreement and communicate the same thing, but here’s why I intentionally choose the word contract. A valid contract needs to be entered into with the consent of both parties and it needs to spell out clearly the value exchanged by both parties. I don’t necessarily view my contract with a client as any more binding than an agreement, but I do find that the use of the concept raises the level of commitment from both parties. I use the tool to spell out what kind of access and information I need from the client to do the work, the objectives and deliverables I am responsible for and they are responsible for, the level of support and communication I need from the client and their staff, the time table for getting together and finishing the work, the way results will be measured, how feedback will be given and of course how payment will be made. The contract is drawn directly from the conversations we have in preparation for doing the work. The objectives are often outlined and prepared by the client through a collaborative approach, as are the goals and metrics. I have found that this conversation is the best way to measure the client’s actual level of commitment to the work I’m being asked to do. This approach to drawing up our ultimate contract is one of most important aspects of getting a project started right. In fact, this conversation has led to agreeing not to work together as well and that’s another powerful reason to make it an essential process. I’ve wrestled with many names for this process but the term contract keeps coming back as the best use. The level of commitment it expresses, from both parties, sets the table for meeting and exceeding expressed expectations and guiding projects back on track when one or both parties fails to perform.